Successfully saved Olive Oil Chocolate Brownies to your Calendar. You can also save the ingredients to your Grocery List. 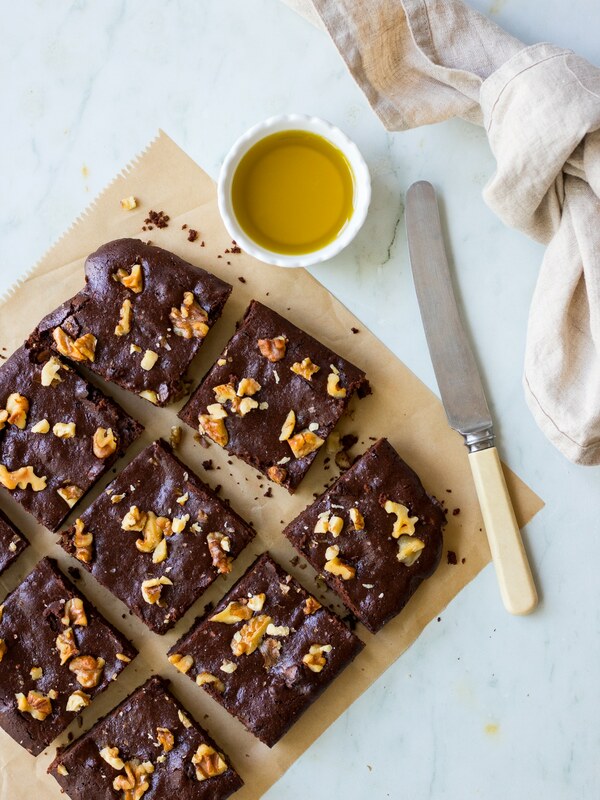 Gluten free and dairy free, fudgy olive oil chocolate brownies are a healthier twist on one of the most classic treats! Made with a base of almond meal, cacao and coconut sugar, with dark chocolate chunks studded in for extra indulgence.